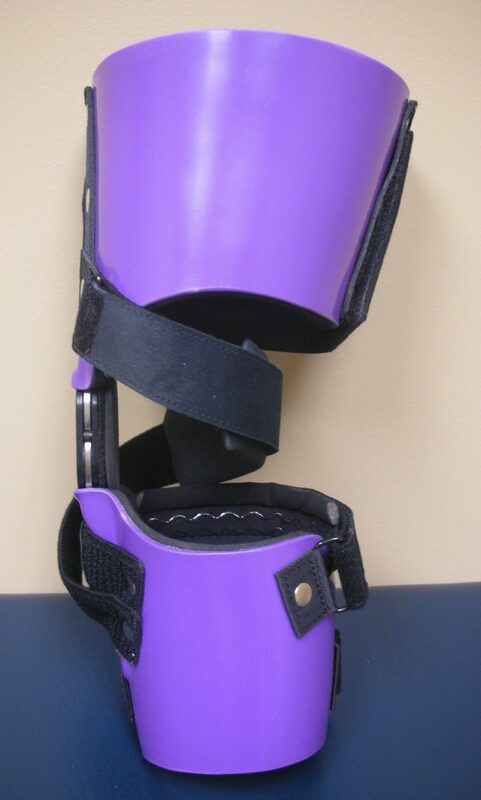 A knee orthosis (KO) is a general name for a brace that encompasses the knee joint. Its design depends on the type of control or correction that is to be applied to the affected body part. KOs are intended to be worn directly against the skin and underneath clothing to minimize brace displacement. Knee sleeves can be worn if the skin does not tolerate frictional forces from the KO. KOs can be made of a variety of materials such as high temperature thermoplastics, carbon composites with stainless steel, aluminum or fibre-reinforced plastic joints and/or uprights.